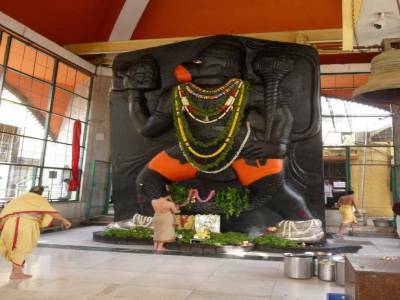 The Ragigudda Anjaneya Temple situated in the Jayanagar constituency of Bangalore city in the south Indian state of Karnataka is a Hindu temple of worship that is dedicated to the Hindu deity Anjaneya also known as Hanuman, or the Monkey God. Legend has it that this relic of the Monkey God or Hanuman was self born out of heap of finger millets and hence the unusual nomenclature of the particular shrine derived from the legacy itself. Raagigudda literally translates to the Millet Statue. The temple housing this Raagigudda statue of the Anjaneya was built much later in 1969 in an effort at conservation of the legacy and preservation of the heritage. 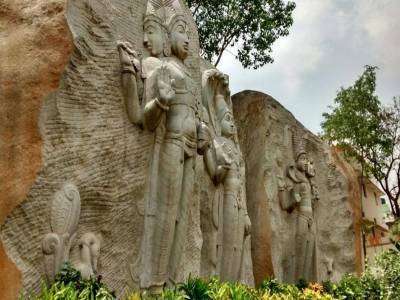 Located adjacent to the statue of Anjaneya, is a smaller temple shrine housing the holy trinity of Hindu religion and has a relief structure on rock dedicated to designate the same. 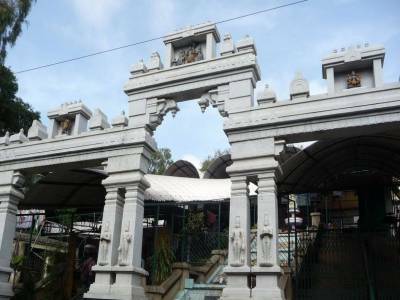 The Ragigudda Anjaneya temple stands presently situated on top of a small hillock. 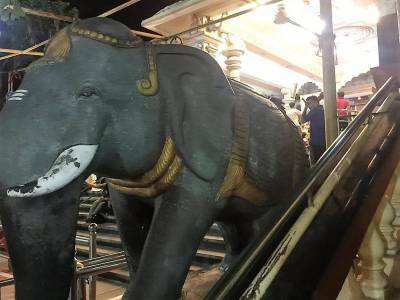 In the month of December, the temple premises transform into a fairgrounds for a 1 day long affair celebrating the birth of the holy monkey God or Anjaneya. It is a grand affair with community meals being served for one and all and hosting festivities for celebration of the divine occasion. Almost thirty five thousand pilgrims are believed to contribute to the even larger footfall at the temple grounds during this period. 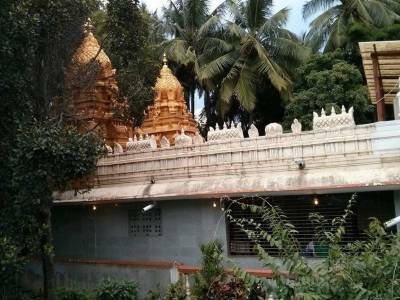 During the other parts of the year the Ragigudda Anjaneya temple serves as a community center for people to pay their reverence and obeisance to reigning deity of the temple and is equally popular among the rural as well as urban masses. Get quick answers from travelers who visit to Ragigudda Prasanna Anjaneya Temple.